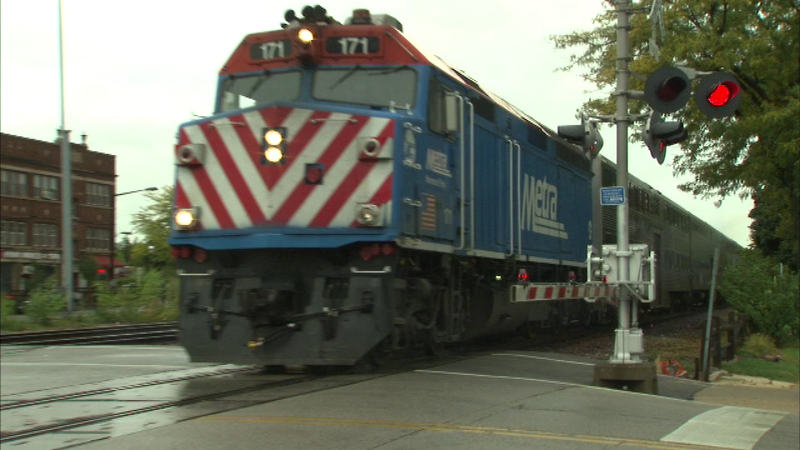 CHICAGO (WLS) -- Metra is holding a series of open houses next month to get some feedback on potential changes to fare and ticket options. Metra customers who can't attend an open house can take an online survey at www.surveymonkey.com/r/MetraFares. "What we are hoping to do is to modify our fare structure and ticket options in ways that work well for Metra's customers and also help Metra make the best use of available resources and capacity," said Metra CEO/Executive Director Jim Derwinski. Proposed changes including redefining the inner zone so Zone A only covers six downtown stations )Chicago Union Station, Ogilvie, LaSalle Street, Millennium, Van Buren Street and Museum Campus/11th Street) with other stations moving to Zone B and a phased consolidation of Zones K,L, and M into Zone J, capping fares for trips exceeding 45 miles. Thursday, Feb. 1, 4-7 p.m.
Monday, Feb. 5, 4-7 p.m.
33 S. Arlington Heights Rd. Thursday, Feb. 8, 4-7 p.m.
Monday, Feb. 12, 4-7 p.m.
Monday, Feb. 19, 4-7 p.m.
Tuesday, Feb. 20, 2-7 p.m.
Metra fares go up February 1 and some service reductions will go into effect on Feb. 5. For more information, visit metrarail.com.